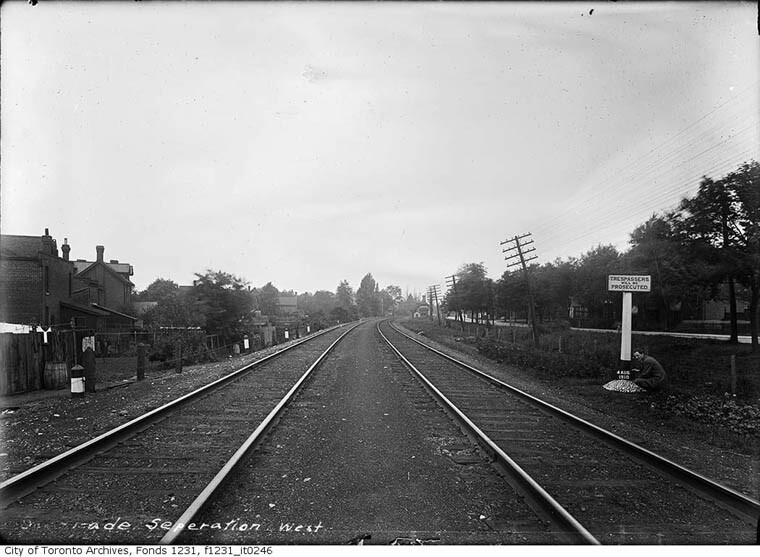 The Parkdale Grade Separation stretched from Parkdale to Sunnyside along the GTR main line between Toronto and Hamilton, it involved 13 level crossings carried out between September 1910 and 1912. 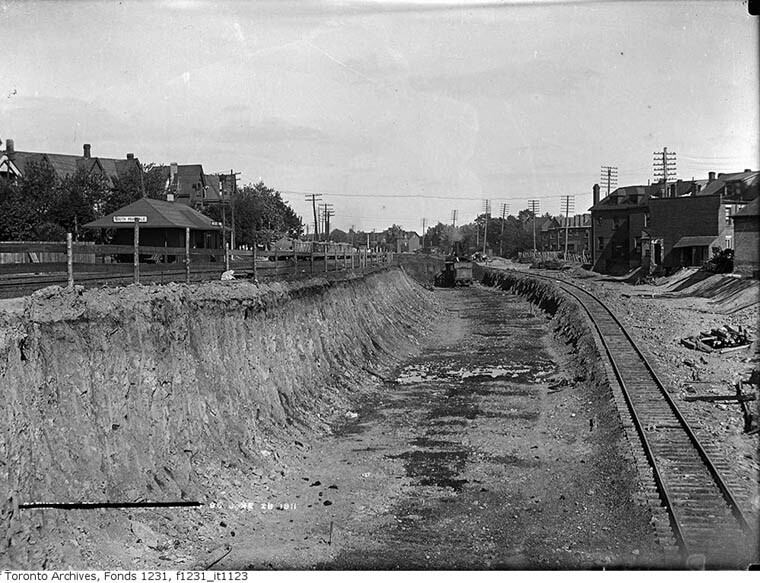 It included cutting down the level of land to allow roads to be bridged over the tracks. 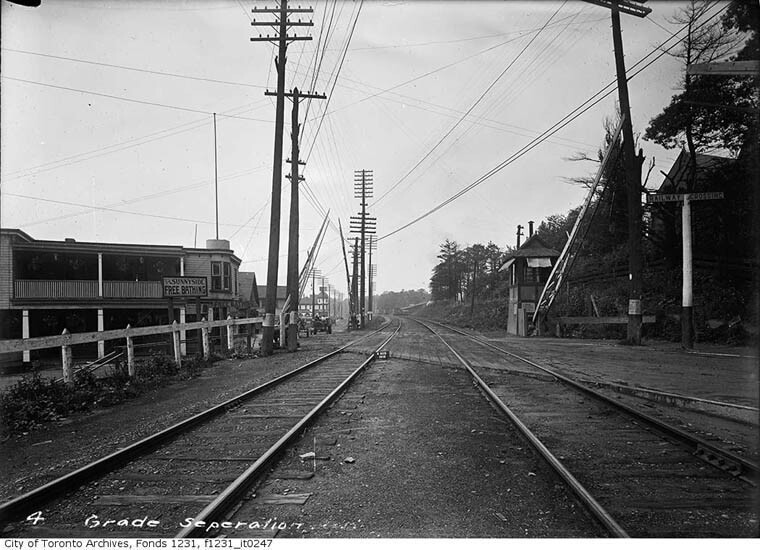 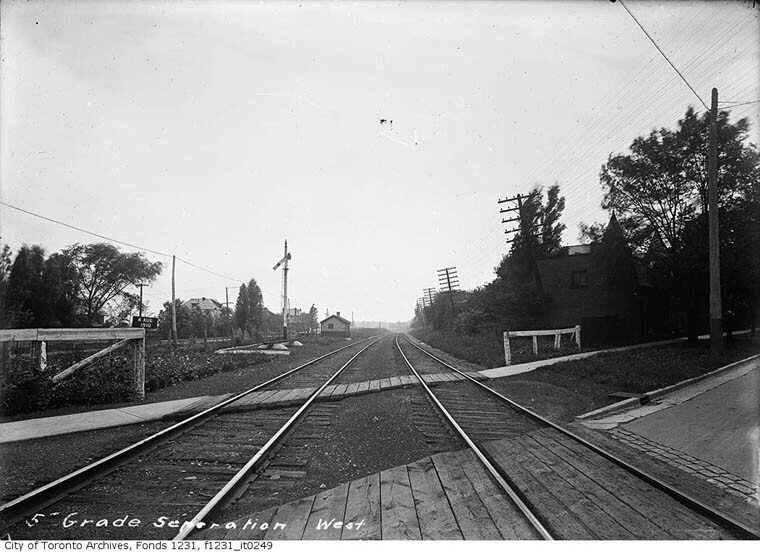 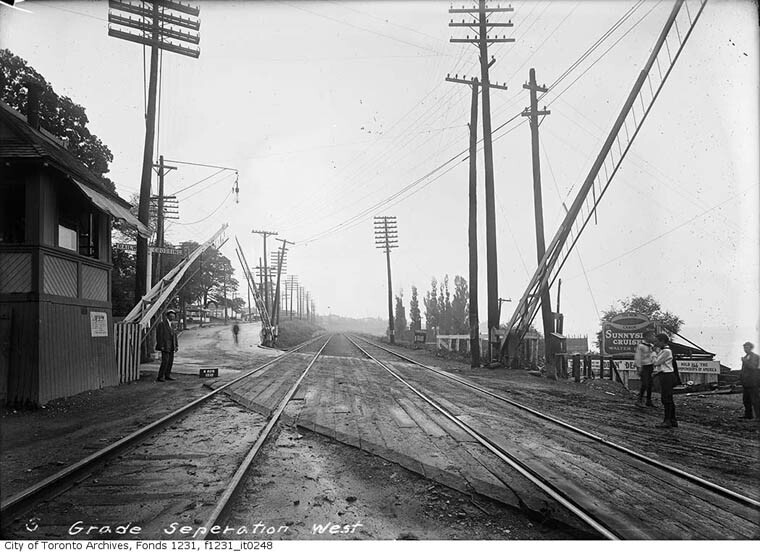 The project saw South Parkdale (between Jameson and Close) and Swansea (Lake Shore Road and Windermere Ave. closed December 1, 1910), stations closed and replaced by Sunnyside, mid-point between the two. 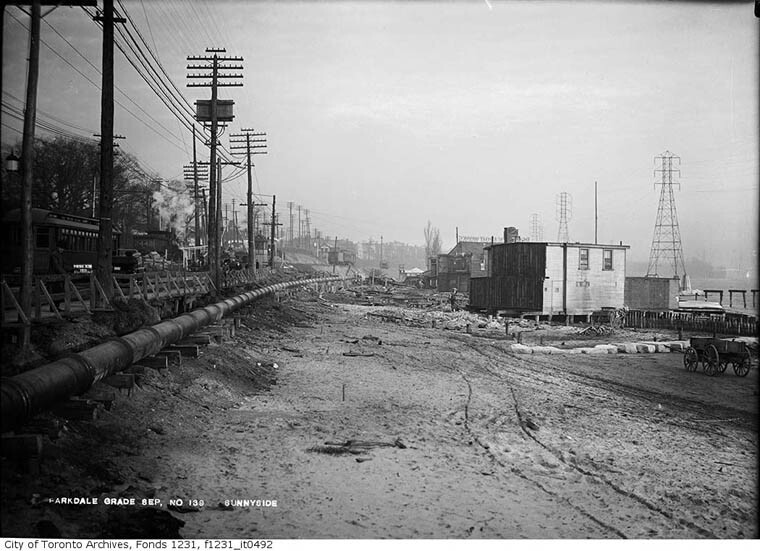 Jane Street (later, Riverside Drive, now South Kingsway) looking north. 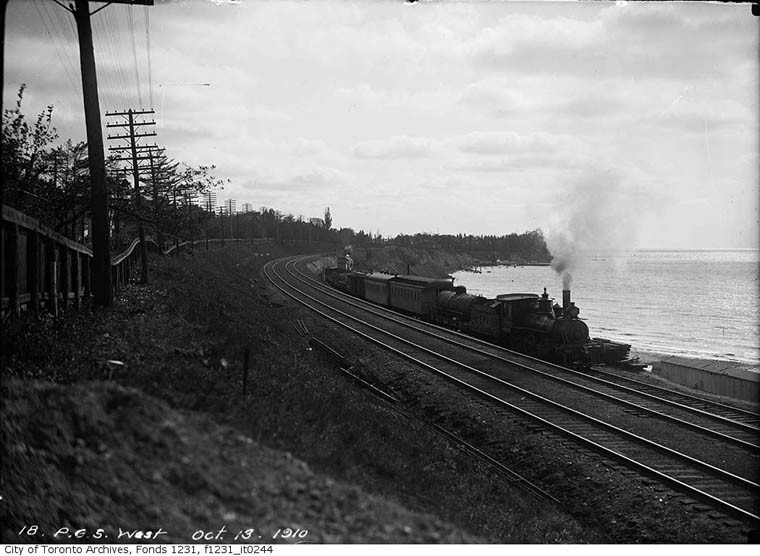 Construction train with engine GTR 2422, a 2-6-0 built by GTR in 1882, at work. 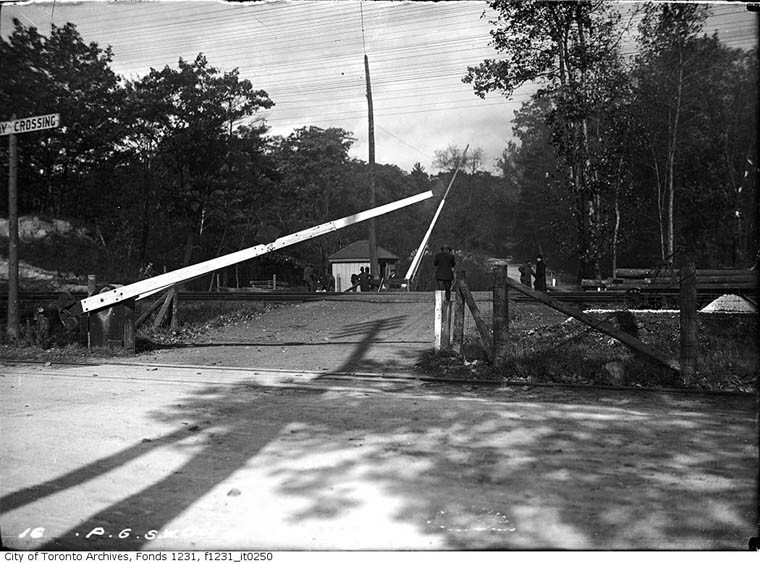 First train westbound passing Canoe Club at right, destroyed by fire 1913.